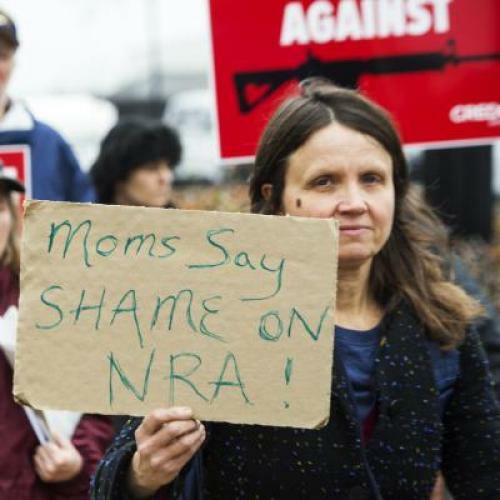 For days after Friday’s school shooting in Newtown, Connecticut, the National Rifle Association—which strides across the gun-rights issue like a colossus, spending ten times as much on lobbying as the country’s pro–gun control groups combined—was nearly silent. No tweets, no Facebook updates, no public statements, and not even any leaks. Only yesterday—in the late afternoon five interminable days later, and only after the 26 bodies began to be buried, 20 in small caskets—did the NRA clear its throat with a brief statement. Expressing shock, sadness, and heartbreak, the group claimed it had kept quiet “out of respect for the families, and as a matter of common decency”; announced a press conference Friday; and pledged “meaningful contributions to make sure this never happens again.” It did not mention guns. But a cold look at the NRA’s PR strategy reveals it to be a smart and understandable one, according to conversations I had with communication strategists—from the left and right—before the group issued its statement. But since my interviews with Harris, Sheinkopf, and others, the NRA has broken its silence. Its statement, which the group emailed to me when I requested comment, and the promised press conference could still amount to very little, and likely will do nothing to appease critics. Still, the NRA’s responses to past prominent shootings, as Mother Jones details in this extensive rundown, have been far more dismissive than this one. For instance, just three days after the movie massacre in Aurora, Colorado, in July, the NRA sent a letter to supporters asking for money because “nothing less than the future of our country and our freedom will be at stake,” and a day later posted on its website a Wall Street Journal op-ed that claimed President Barack Obama “could kill the Second Amendment” during his second term. Tuesday’s statement, at least, opted for apparent sincerity over alarmism. If the NRA does honestly grapple with gun control Friday, it will be a massive, unprecedented shift for the organization. And it may mean the defeat of silence as a PR strategy in the gun debate. As Risa Heller, another Democratic strategist with experience handling political crisis (in her case, former Rep. Anthony Weiner’s), told me earlier Tuesday, “You cannot make your problems go away by ignoring them.” Rather, she argued, the group’s silence only draws attention it: “They need to find a way to stake out some reasonable ground, whatever that would be.” The NRA’s promise of “meaningful contributions” sounds like an attempt to do exactly that. The NRA has every right to seek to maintain power at the expense of the issue at hand. Its opponents’ strategy, however, should be to expect nothing more from the group—even after Tuesday’s statement and Friday’s press conference. By contrast, mocking the NRA’s silence (New Yorker writer Tad Friend had been counting the hours since @NRA last tweeted, for instance) unduly accords the group the status of an enlightened civic actor, one whose hokum about “freedom” and “sportsmen’s rights” might be a sincere, valid defense for, say, the legality of vicious assault weapons. In fact, if that were a sincere, valid defense, you would probably be hearing it from the NRA right now, instead of a milquetoast statement promising “meaningful contributions” that—if the group’s callous history of responding to mass shooting is any guide—won’t be meaningful in any meaningful way.